When it comes to your big day, naturally you want to ensure that it is as perfect as it can be, from the wedding ceremony itself to the photos. What a lot of couples focus on is the actual ceremony and fail to put as much time and effort into the reception, however this shouldn’t be the case. Your wedding reception is the celebration of yours’ and your partner’s new life together, and so it should be an amazing event. Of course, with so much pressure to plan an incredible day, it’s easy to get overwhelmed with all of the planning that you need to do. However, what it’s important to remember is that planning your big day doesn’t have to be majorly stressful, in fact if you are smart about how you go about it it can be be far easier to organise than you would think, especially if you have a theme, such as rustic, for instance. To help you plan the most amazing rustic wedding reception, here are a few tips and ideas. The first piece of advice that every couple should utilise is taking the time to get inspired. There are so many routes that you can go down to gain inspiration and ideas, it’s just a case of finding the right inspiration for you. Something that a lot of couples find helpful is Pinterest, as this app allows you to search specific ideas, such as ‘rustic wedding’ and pin these to a mood board where you can refer back to them as and when you need to. If you are going to plan the most amazing day, it’s essential that you take the time to find the inspiration and insight that you need. Once you have some ideas, sit down together and put together a mindmap on a large piece of paper. What this mind map should show is an outline for your wedding reception and should include all of the things that you want this celebration to include, from what kind of food you would like served to little details like whether you want a photo booth, what wedding cake you want, and what music you would like played. It should even include things like the venue for your wedding reception, such as whether you are renting a large tent or are opting for a hotel or wedding barn. The more detail your mind map includes, the better. While it’s all well and good looking at the features that other couples have included in their rustic weddings, what it’s important to remember is that it’s your day. That’s why it’s so important that you take the time to get creative and design a day that perfectly fits your needs as a couple. What do you want from your celebrations - what is important to you? Think about the things that will make you and your partner happy, that’s what matters. 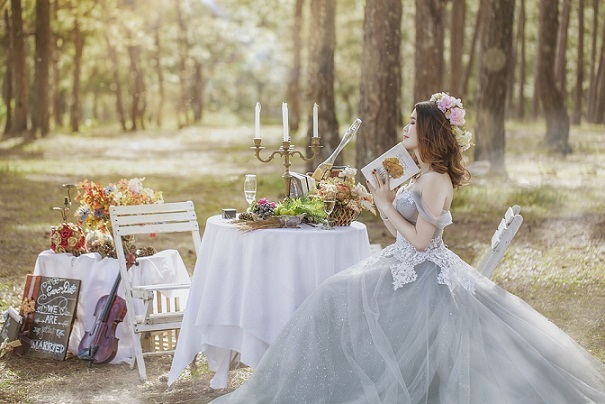 There you have it, everything that you need to know about creating the most magical wedding reception that is perfect for you and your partner.